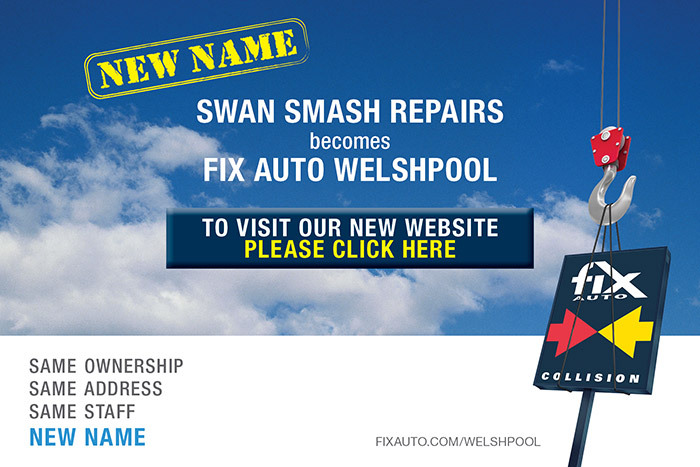 Swan Smash Repairs takes the service we provide to our customers very seriously. We offer the highest standards in Panel Beating Repairs, Spray Painting and Car Restoration using the latest and best quality equipment, products and professional technicians. Your complete satisfaction is what makes us happy. Located in the Welshpool / Carlisle area, we are approximately 10 minutes from the Perth CBD. It is an ideal location, where you can drop your vehicle off, and use public transport to continue on with your day, while we work on your vehicle to make it look as close to its manufactured state and safe for you and your family. Our Panel Beaters are highly trained tradespersons, some of whom started with us as apprentice Panel Beaters and have stayed on to follow us into the current decade. For us at Swan Smash Repairs, no job is too big or too small for us, whether it is for Panel Beaters or for Spray Painting, if it is just a simple dent removal or if it needs a tow in. Whatever the job is, trust us with your car. Our State of the Art Facilities and Workmanship will transform your vehicle back to its former impeccable state. We have separate Panel Beater workshop and another Spray Painting workshop to facilitate more efficient repairs and flow of work. Swan Smash Repairs is an MTA WA Approved Body Repairer, and an Authorised PPG Refinisher. We mentioned that we utilise the highest quality products, and most up to date equipment and tools at Swan Smash Repairs – the Autorobot Chassis Aligning & Measuring is used for yours and your family’s safer motoring. Therefore, we are the best choice when it comes to Panel Beaters, Spray Painters and Vehicle Repairers in Perth. Is there more you need to ask? Call us on (08) 9361 8202 for an obligation free quote or visit Swan Smash Location. Swan Smash Repairs performs Dent Removal, Panel Beating and Spray Painting of any make or model. Check out our gallery for some of our finished projects.